Eye tests "not regarded highly enough"
Not enough people view eye tests as an essential part of their healthcare routine and these individuals may be placing their vision at risk as a result, one source has claimed. Paul Surridge, chief executive at Sight Care, said that things such as eye tests are often placed at the bottom of people"s list of priorities, despite the procedure possibly identifying issues which could lead to severe eye problems. "We take our eyesight for granted, a lot of the time. 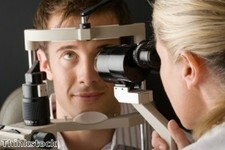 Unless we have a serious problem, we wouldn"t dream of going to an optometrist," he explained. Mr Surridge also pointed to figures recently published by his organisation, which showed that 52 per cent of UK adults have not had an eye test in the last year, while 28 per cent have not had one in the last two years. The figures also revealed that one in ten people would not even class their inability to see clearly as a sign that they need to undergo an eye test.